Although weather in London has cooled down from it's otherwise amazing start to the summer weather, it's feeling fresh and sometimes a breeze is just what you need. 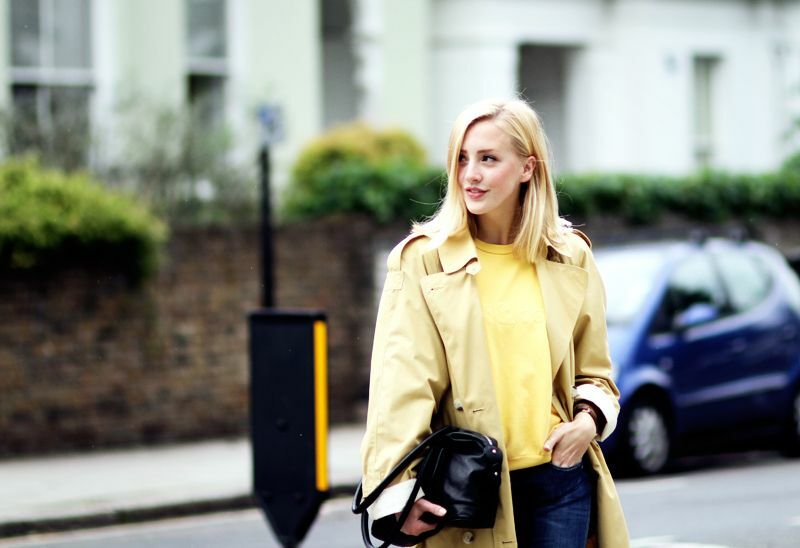 Remember I told you about a yellow trench coat I got back in Easter, when I went to Denmark? This is it, and I'm so excited to finally be sharing it with you. I thought it would go well with my hot&cool vintage jumper, just to hint to the sun that we're ready for it to come out again. You look incredible ! I love the shoes a lot ! Giveaway get the bronze queen look ! How lovely & yellow! For rainy & cold days in summer it is a perfect colour! 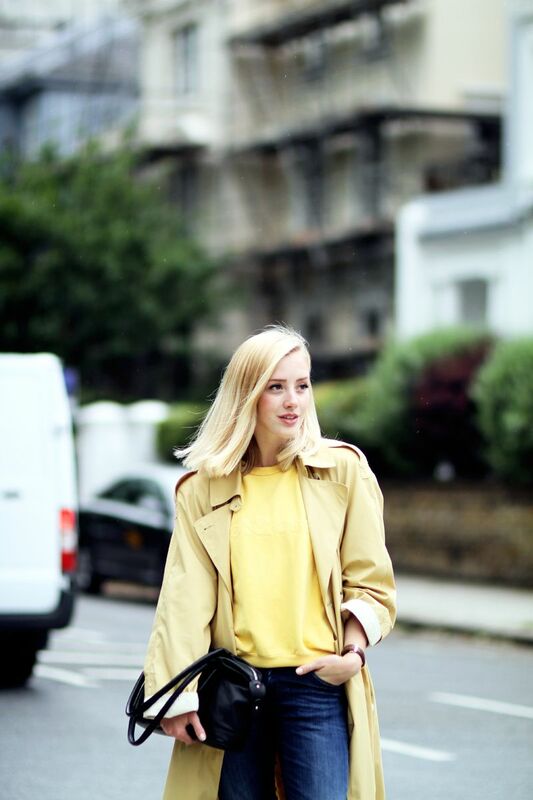 Love the two tones of yellow! Gorgeous outfit! I love that trench! this outfit is amazing and the shoes are to die for! Love the yellow!!! Such a great outfit! Amazing! You look so fabulous and flawless! Yellow looks so good on you! Absolutely gorgeous! You look so good in yellow even as blonde!! And these shoes!!! great outfit, I love the color yellow!! that coat is gorgeous on you! Love this look! I just started a fashion and style blog so this is super inspiring. 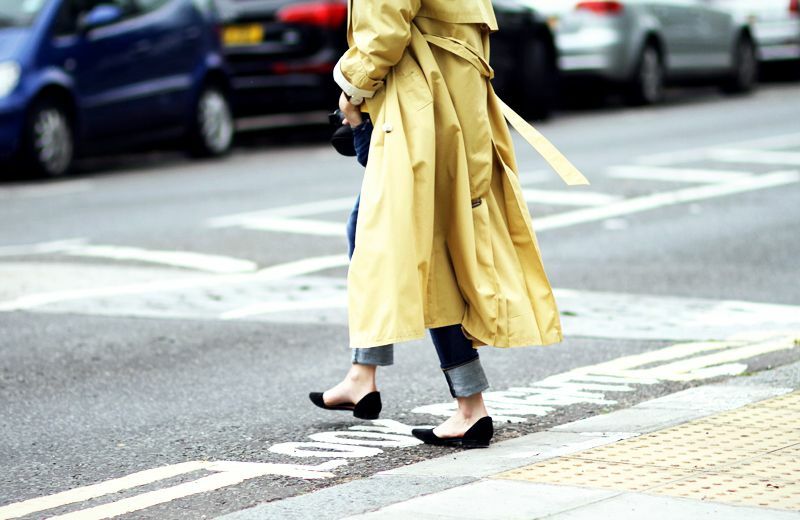 I loove these photos and your trench coat! I wish I could find more things my size in vintage/thrift stores. Disadvantage of being tiny, everyone else was/is bigger than me! Ah that coat is just gorgeous! 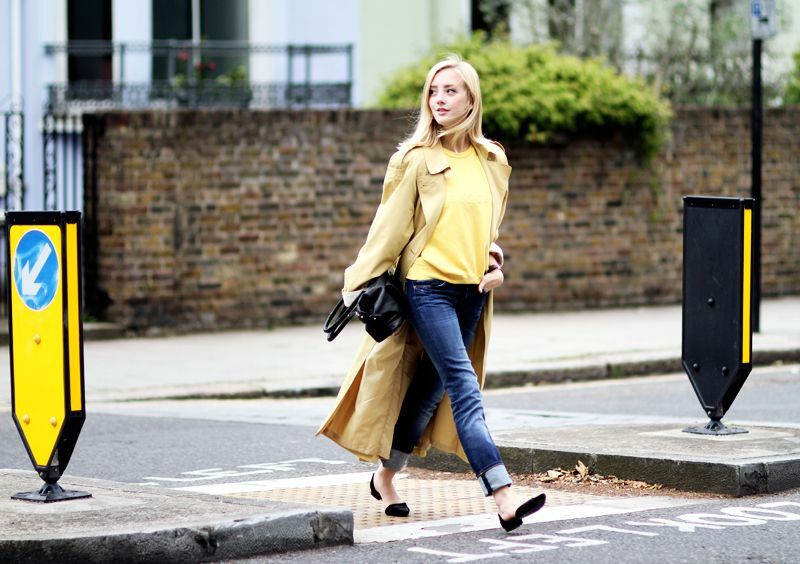 I love this look, the coat and yellow... perfect! You look very pretty! those colors complement you so well! love the outfit! So pretty in yellow !